The PBE's just been updated with a new patch, and included is this new Kayle Skin datamined by SkinSpotlights. Note that these particles are NOT final, and considering this Kayle is rumored to be a legendary skin, it certainly seems like she'll get quite a few new changes before release. 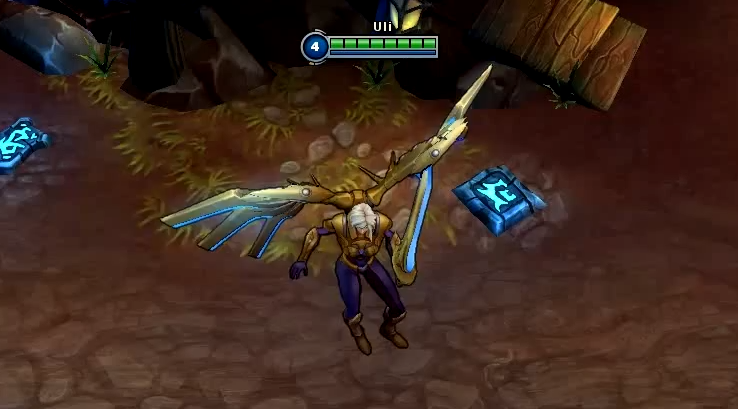 Personally I think the wings look kinda like Hextech Anivia. Gatling Gun (E) mana cost decreased to 60/65/70/75/80 from 60/70/80/90/100. Agony's Embrace also changed to % of current health instead of % of max health. 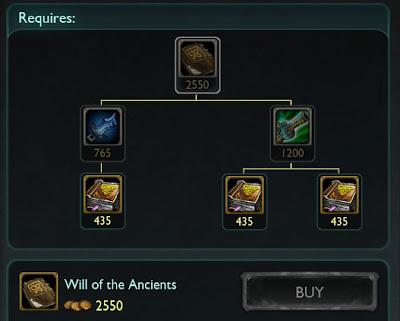 Rune Prison (W) now deals 4.5% max mana, down from 5%. Now gives 400 health instead of 300 health. Bonus Health increased to 300 from 200. Movement speed increased to 6% from 5%. What do you guys think about the changes? Comment below! 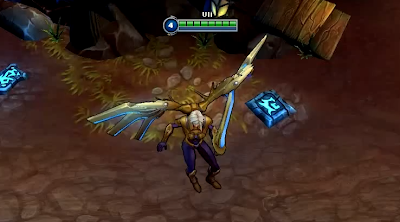 THAT KAYLE SKIN. RIOT. WHY. STOP TRYING TO TAKE MY MONEY. Yeah, even though it's *technically* a nerf in terms of rushing it, the fact that it builds from a GP10 item could theoretically make it "less" expensive if you buy it late. I don't really see Vladimir or Kennen (for examples) building Kage's, though, that's the main problem. I don't see supports building WotA, either. It's an odd toss-up. when you think about it, annie can get her stuns up more now. most people put the level in shield for the charge up anyways. Did you swap the buff/nerfs of the items? At the start of the post it says WotA and Liandry's are getting buffed, but at the bottom it says they're nerfed. Hi shai, I believe I did, thanks for pointing that out. Overall I'd say they were nerfs even though I suppose that in some sense they are tweaks. Thanks for posting!